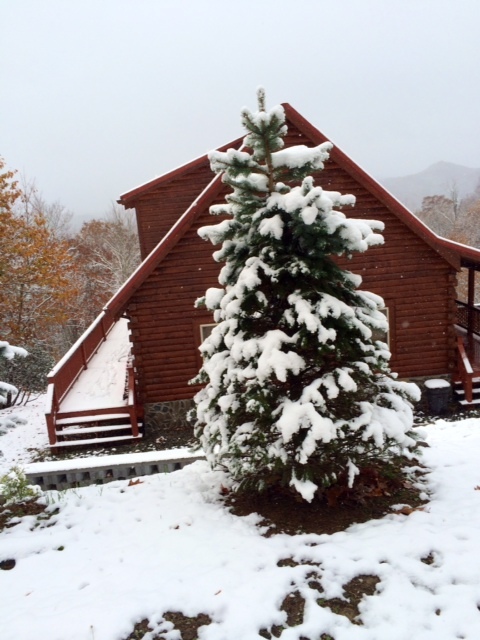 The beautiful white snow fell this weekend and it was the first snow of the year in the NC mountains! 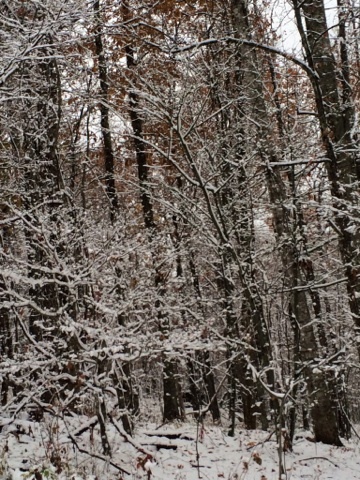 The landscapes changed from the fall palette of oranges, reds, and yellows to a beautiful “Crisp White Winter Wonderland“. 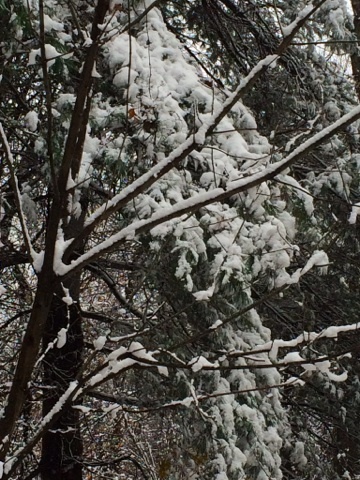 This is one of the Christmas Trees at the entrance to my driveway in the Smoky Mountains. 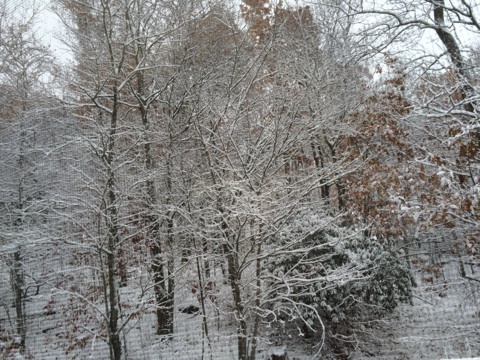 The trees were white, crisp, and beautiful, resembling a postcard you would see at Hallmark. 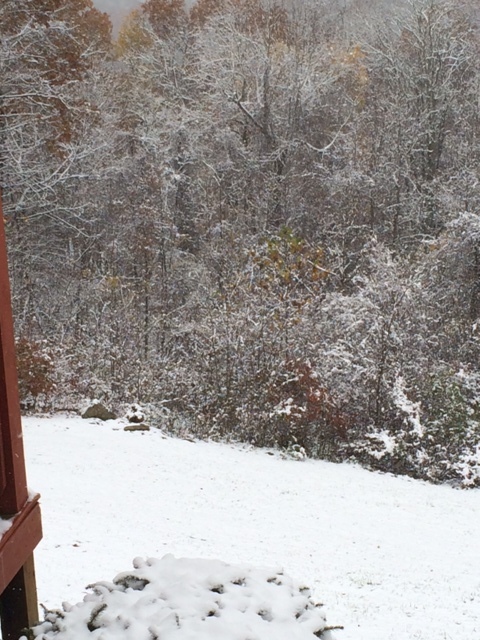 I am always excited to see the snow and never get tired of it. 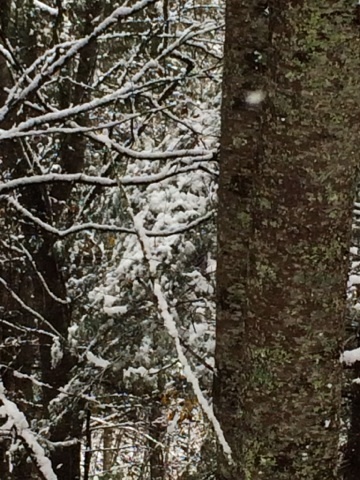 It’s like a special bonus when we’re visiting our cabin and the snow comes to make everything sparkly and magical looking. 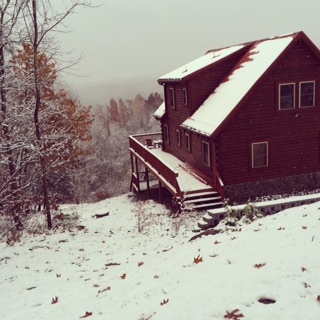 Here’s a photo of the cabin nestled in the snow. 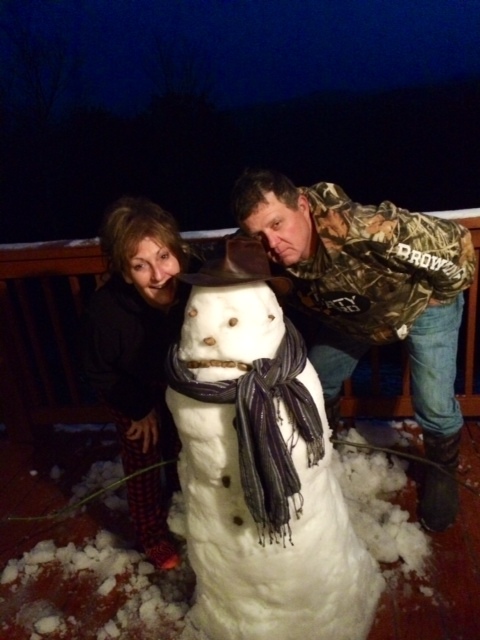 And finally, the last minute snowman. His mouth is a little sad, but stands happy just the same :)). 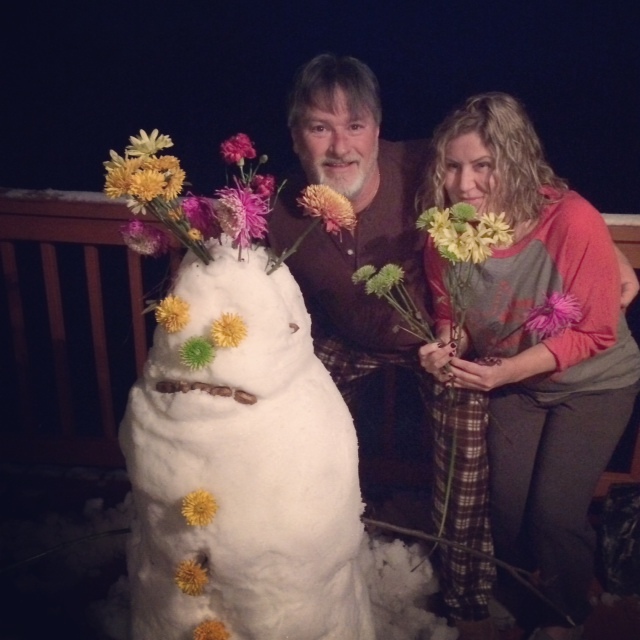 So the Halloween weekend ushered in the snow, but our best friends, Ernie and Donna made the weekend complete! 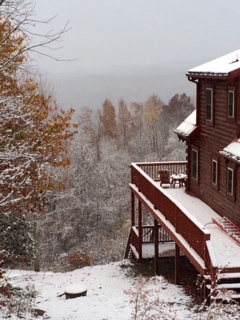 Snow in the Smoky Mountains is a treat for your soul, sharing it with friends is a blessing. So beautiful! I bet Donna and Ernie hated to head home! I heard about the snow last week! so crazy… but you got some great pics! 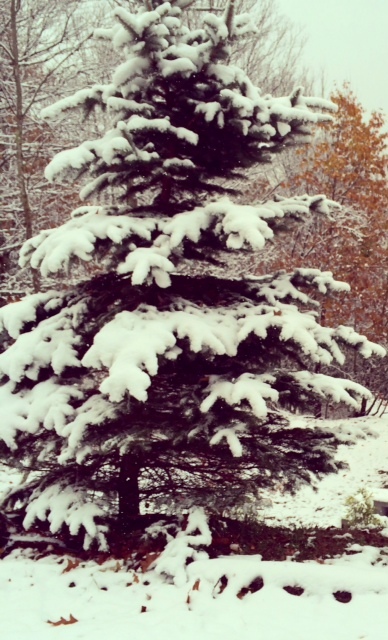 love the cabin/tree shot and the blooming snowman! we didn’t get any and I’m glad! haha i’m near the outer banks but grew up in NY and I don’t miss the snow one bit! Thank you! Yes it was fun. Thanks for stopping by, love the comments.